Hi Diane! Welcome to Rachelle’s Window. You are a busy woman! I see you everywhere, on Twitter and Facebook, always lending a hand and being supportive and cheerful. So, how do you do it? Are there two Diane Rapps hidden behind the scenes? Oh, yes, and maybe more! As a writer, I’m definitely a “split personality.” I get bored when I do the same thing to often, but switching from a cruise ship murder mystery series to a science fiction series keeps me hopping. That’s very interesting. Don’t you also have some paranormal thing going on? Do you write one story at a time or can you work on two in parallel? I wrote one mystery featuring a ghost. 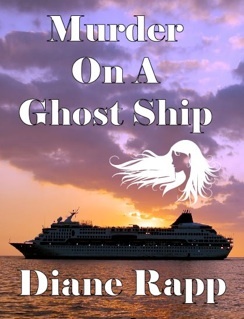 My characters had to solve the ghost’s murder on the cruise ship before another murder occurred. I’m always thinking or planning a new book—like percolating coffee. But when I’m ready to write I get immersed in the characters, setting, and problems to be solved in just that book. I feel like I get sucked into my computer and hours disappear before the characters release me back to the real world—or until my husband needs lunch or dinner. He gets grumpy when he’s not fed. Ha, ha, that's how my husband is. I try not to burn dinner! How did you get started writing? After my daughter and I wrote a travel guide to the Caribbean, she gave me the idea of writing a cruise ship mystery. However, I actually started writing science fiction to cure insomnia years before that experience. My favorite author, Anne McCaffrey, didn’t publish new books fast enough, so I imagined my own world. Soon I felt compelled to write down stories to get them out of my head. I’m getting ready to launch the third book in my science fiction series, Dragon Defense. Ha, ha. That’s always a good motivation. At least you didn’t do that Misery thing and kidnap your own writer. Tell us about your science fiction series. How did you invent the idea of Transfer? Hmmm…. Making a deal with the devil is a hard choice. Immortality without freedom? That’s a hard choice. You also write Fantasy. What compels you to try out that genre? The difference between Fantasy and Science Fiction is magic versus possibility. A fantasy character performs extraordinary feats by magic, but sci-fi characters experience a scientific leap. Many Transfers multiplied talents until my characters developed incredible skills. The villain, Jarrack, uses mind control to force victims to do his will. Donovan slips into “speed time” and moves faster than the eye can detect. Krystal manipulates fire and uses empathic energy to heal. Chella is a healer who is plagued with erratic visions of the future. Trenton is the best tracker in space or on the ground, while his sweetheart, Maggie, can detect radiation or cook the tastiest dishes. Ha, ha, I can see your imagination running wild there. 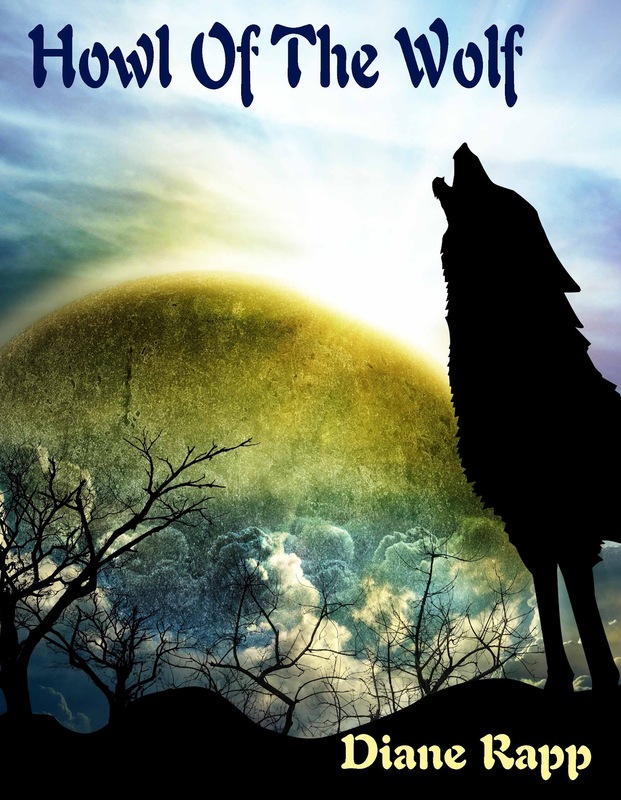 But then, how did you come up with telepathic wolves? That one is my German Shepherd’s fault. Kriegen would stare into my eyes, trying to send me a message. My stupid human brain couldn’t understand. Next he’d try a stare-shift. He’d stare at me, shift his gaze to the cookie dish, and quickly shifted back to me. The message was: “I want a dog cookie, you fool.” I became well-trained, but we lost him over a year ago. The telepathic wolves are modeled after an intelligent dog that I miss very much. Uh huh… think I’m too scared to visit your house at night. I understand your new book contains a flock of dragons? 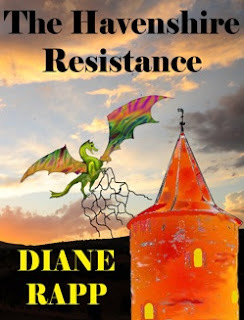 Since my favorite author was Anne McCaffrey, I added dragons to my series. I introduced one dragon chick named Flash in The Havenshire Resistance. The name Drako comes from the dragon constellation. When surveyors discovered creatures that looked like dragons, they named the planet Drako. These dragons use vibrant colors, swirling through their wings, to communicate. I imagined the dragons’ wing colors before I watched a nature film about the Flamboyant Cuttlefish. This creature shoots incredible colors across its body. We can’t imagine anything stranger than a creature God already designed. Whoa, that’s true. I’ve seen some creatures deep in the ocean chasms that are out of this world. Do you believe in God? Definitely, and my character, Chella, tries to serve God. She struggles between her role as a convent “sister” and her fighting abilities. She courageously confronts Jarrack and tries to convince him to choose God’s path. The Bible is filled with people who fight God’s battles, so I don’t think Chella defies religion when she defends loved ones. So you’re saying science fiction and religion are compatible? We’re getting pretty serious! Yes, telling a story often demonstrates religious principles. Dragon Defense illustrates choices that people might face—leading toward good or evil. God gives us free will and a chance for redemption—if we make the right choices. Shariel is the biological daughter of Jarrack, afraid that her inherited talent of mind control might turn her evil like her father. Even Jarrack is given a choice in this book to turn away from evil. Will each character make the right choice? Biology is not destiny. More interesting that way. It sounds like you explore different ideas in your series, but do you have fun? Writing this novel was fun (or I’d get bored and write the next mystery). I hope my sense of humor shows through my writing. The dragons have the most fun, and I can’t stay serious when I imagine dragons flashing neon colors over their wings. 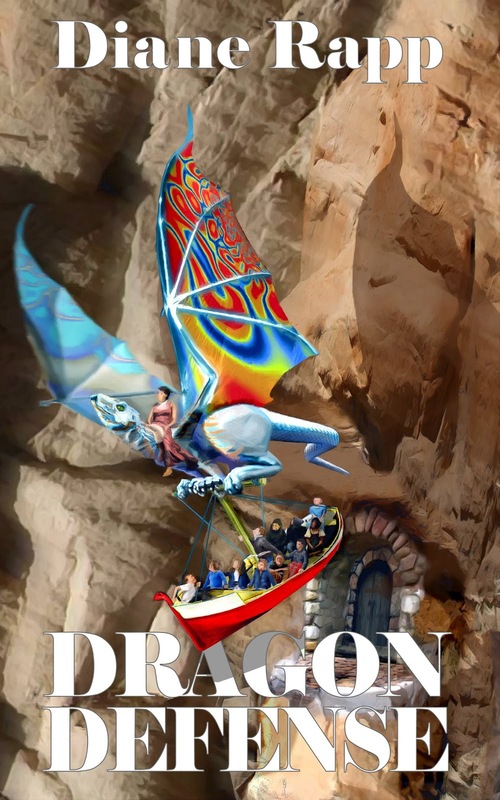 Have you ever dreamed of flying on a dragon’s back with wind whipping through your hair? Glorious! I think I’d love to be the flying creature myself! So up what’s next for a split personality writer? The next mystery novel, Murder for Glacier Blue, rattles around in my subconscious. It takes place on board a cruise ship to Alaska. 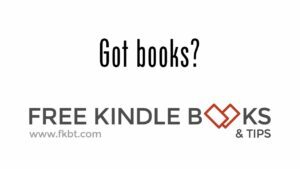 The characters face an art heist, rowdy golfers eager to play golf at midnight, a wedding at Glacier Bay National Park, and a murder to make things more interesting. Join us for BBQ at the dragon cliffs. They practice building a fire to roast husker (a wild boar) and can’t stop themselves from making the flames too high. They really love the colors. We’ll also have some Tex Mex virtual food (with recipes) at the release party, so I hope you’ll join us. I’ll introduce some of the dragons and Captain Ishtarek (a reptilian man) who was under orders to destroy Drako. It will be a great party. Wow, that sounds like a smashing party! Be sure to tell us where your virtual release party is. Did you know we can do group chats inside of Facebook Groups? We ought to schedule them. It was great having you, Diane. Author Bio: Diane Rapp became an entrepreneur when she started her own dog grooming salon in Santa Barbara, California. She spent the next thirty years as a small business owner; she sold real estate, started an office supply store in Telluride, Colorado, and performed free-lance advertising design. During all those years Diane wrote stories as a cure for insomnia. 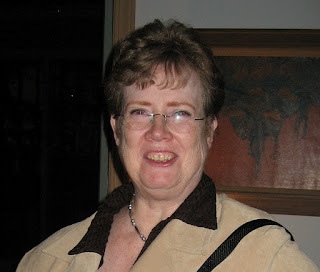 She wrote short stories about dogs for a German Shepherd Dog Club newsletter, and then expanded to full length novels. This was such a fun interview! I loved the questions and babbled on and on. Just like a writer, never stops talking. Thanks for taking your valuable time Rachelle. Great interview! Thanks, Clare. I look forward to checking out your novels, Diane. Sorry about Kriegen. I know how tough it is to lose a best friend. He was gorgeous. Thanks Diane for telling us so much about yourself. I swear, there must be more than one of you! Wow. I agree, Diane, this was a very interesting and fun interview. Just wonderful. Thanks to you for sharing all this good stuff and to Rachelle for another great interview.